Verena Commins holds an MA in Ethnomusicology from the University of Limerick and a PhD in Irish Studies, from NUI Galway. She has taught at NUI Galways Centre for Irish Studies since 2010 and her teaching and research centre on concepts of re-traditionalisation, festival, commemoration and authenticity in the appraisal of Irish traditional music contexts in Ireland and the diaspora. 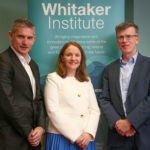 She is currently Academic Director of customised Irish Studies programmes at NUI Galway and co-founder of Comhrá Ceoil, an Irish music and dance studies research cluster, at NUI Galway. She is co-editor of the forthcoming special issue of the journal Éire-Ireland Notaí/Notes: Music and Ireland. I am currently preparing my PhD thesis Scoil Samhraidh Willie Clancy: Transmission, Performance and Commemoration of Irish Traditional Music, 1973-2012 for publication. The thesis locates the emergence of the School in 1973 as a transformative revivalist moment in the history of Irish traditional music. An engagement with this site of practice problematises concepts such as re-traditionalisation, surrogation and authenticity as well as highlighting the specific micro-site elements that prefigured the capacity for the School and its culture economy. Other areas of research within the context of Irish music studies context include commemoration, festival and gender. (2018) Economic and Social Impact Assessment: West of Ireland Creative Sector. (2018) Economic and Social Impact Assessment: North East Iceland Creative Sector. (2011) Various articles. The Companion to Irish Traditional Music. (2003) Various articles. The Encyclopaedia of Ireland. (1999) Various articles. The Companion to Irish Traditional Music. (2017) Review of: 'Ó Am go hAm/From Time to Time: Tutor, Text and Tunes' by Tommy Peoples.